If our readers abroad were already vacillating between subscribing to Netflix or Amazon Prime Video, their decision just got a little tougher. 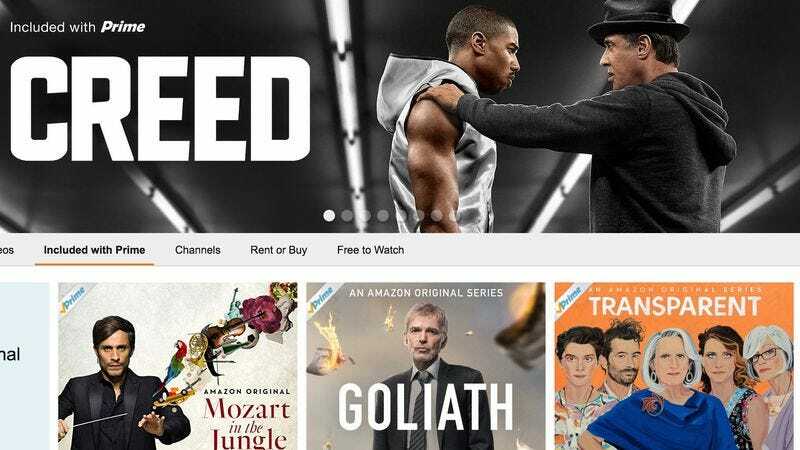 Amazon’s just announced that it’s expanding the reach of its Prime Video service into more than 200 countries. Now, U.S. Prime members already have access to Amazon’s streaming arm for free, as will members in U.S. territories as well as in certain European countries like Italy (where the first half of the latest season of Mozart In The Jungle took place, by the way). Otherwise, global Amazon Prime Video service can be sample during a 7-day free trial, followed by a discounted rate of $2.99 per month for the first six months. After that, the monthly charge is $5.99. Amazon’s announcement comes in the same year as Netflix’s expansion. For further comparison, the going global rate is currently cheaper than Netflix, but as Variety points out, Amazon’s extensive movie library isn’t entirely up for grabs just yet. The retail/streaming company currently lacks the international subscription VOD rights for most of its 18,000 titles.